Doogh (دوغ‎‎) is a traditional drink from Persia, and even though the internet, restaurants, and books all offer forms of doogh for us to make or buy, until recently I felt I was yet to encounter a truly authentic offering. Generally, contemporary doogh involves adding some form of carbonation to yogurt, for example: soda water, or bulgur rejuvelac, but I doubt these substances were freely available in the time of the great Persian scholar and doctor Avicenna (considered by many the father of modern medicine), let alone at the height of the old Persian Empire ruled by Cyrus or Darius, both of whom history names ‘the Great’. So, people drink doogh, and think they are enjoying an ancient beverage, but we can do better than that right here, and right now. Here is the real deal, utilising that sovereign fermented drink we shall call ‘Kefir the Great’ for the purposes of this authentic recipe. Many thanks to my good friend Jilah Bakhshayesh for setting the record straight. 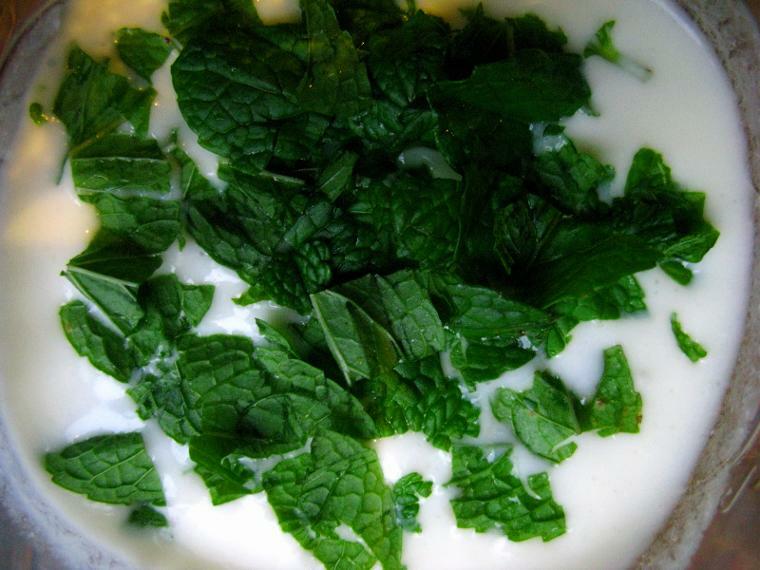 Add the mint and salt to the kefir in a jar that has an airtight lid. Start easy with the salt, but you may add a little more to taste. Quick version - seal the jar, then leave on the bench for 2 - 3 days, shaking once a day at least. Long version - place the lid on loosely, or cover with a tight weave cloth. Leave on the bench for 5 - 7 days. The end result is a foamy, fizzy, minty, slightly salty, but very refreshing drink.